To keep the Halloween theme going, Re-Animator was the obvious choice. A 1985 horror-comedy film that is loosely adapted from Lovecraft’s “Herbert West-Reanimator”, the plot follows Dan Cain, a promising medical student, and his new roommate Herbert West. 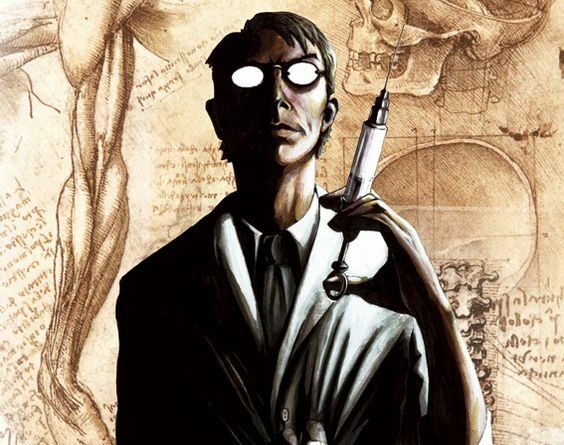 Cain quickly gets entangled in West’s research and obsession to perfect his reagent that is able to reverse death. West theorizes that his reagent would work more effectively on fresher subjects, which leads them to utilize the hospital’s morgue as their own testing grounds. Created on a tiny budget, Re-Animator relies heavily on practical effects. These work poorly most of the time, but this only adds to this film’s comedic advantage. It doesn’t shy away from gory effects that contrast heavily with the lighthearted tone of the entire story. While being a horror-comedy movie in name, it’s horror aspect is so simplistic and cartoonish that it can be considered a plain comedy in practice. Within its eighty-six minute runtime, the film doesn’t waste a minute. Every scene has its purpose and are paced perfectly so as to keep the viewer hooked at all times. Jeffrey Combs completely steals the show with his performance as Herbert West. As a death obsessed recluse, each of his lines are delivered so coldly that he might be the most quotable cinematic character to this day! If you’re in the mood for a comedic B movie that can still fit a Halloween theme, Re-Animator is the perfect film for the occasion.